Medical debt is the largest percentage of consumer debt in collections. Healthcare providers are feeling the financial crunch as reimbursements continue to decline for hospitals, physical therapists, speech-language pathologists and even occupational therapists. Many professionals offering medical services have been affected and are opting to hire a medical debt collection agency to help collect their past due accounts. Jana Ferrell & Associates, LLC has a long history of successful healthcare finance collections. 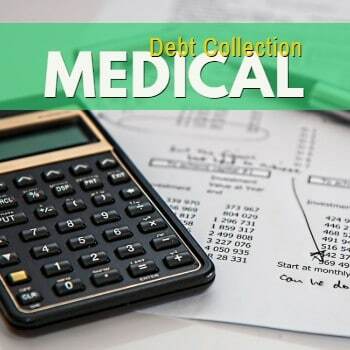 Our medical collections services include past due and final notice letters, payment plan management, credit bureau notification, legal action if neccessary, and collections on Medicare bad debt if needed. According to a Consumer Reports survey of 1000 adults who had medical expenses over $500 in the past two years, nearly 3 out of 10 insured Americans had an unpaid medical debt sent to a collections agency. Most patients want to pay their medical bills and others simply can’t, which is why we work with debtors to establish reasonable payment plans to help recover otherwise unrecoverable funds. We respectfully manage payment arrangements that are polite and professional because we realize these may be long term customers who may use your medical services again. We implement a clear patient payment collection procedure for how our team will handle all past due accounts for our medical collection services. We are here to make the billing and payment process as streamlined as possible, with the goal of recovering as much as possible for you, while helping each patient resolve their bad debt and settle their financial challenges. Your healthcare organization can expect to receive prompt payments from your patients, all while we work to maintain a positive relationship with your client. We will manage your aged debt or your entire portfolio of late paying customers. We offer dedicated accounts receivables collections and recovery services, placing our focus on technology, compliance and security. Because a medical collections service represents the practice in the eyes of the patient, our clients know they will be working with an agency that handles their payment collections in the most respectful, professional and effective manner possible. If you find your practice is spending a lot of time collecting (or even following up) on past due payments, and your margin of uncollected funds increasing, it’s time to send uncollected payments to Jana Ferrell and let our team do the heavy lifting. Contact us today. Interested in Medical Collection Services?